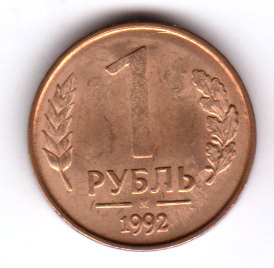 Brass clad steel 1 Ruble. 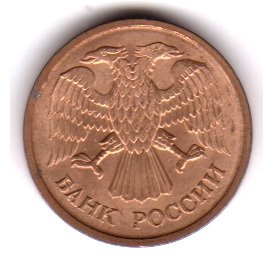 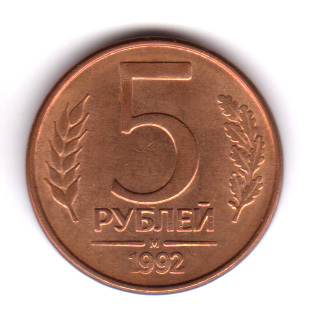 Brass clad steel 5 Rubles. 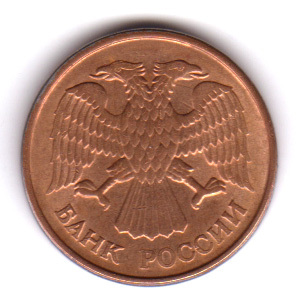 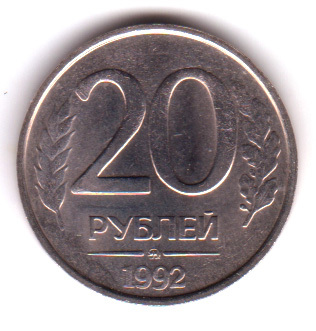 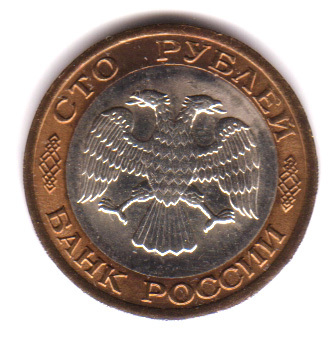 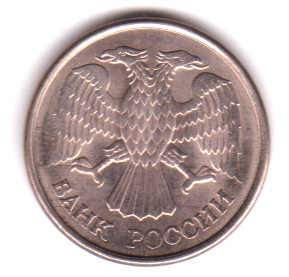 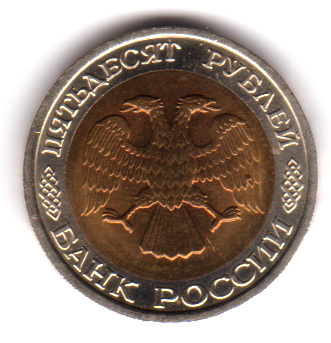 Reverse: 20 Rubles in russian and date in number. 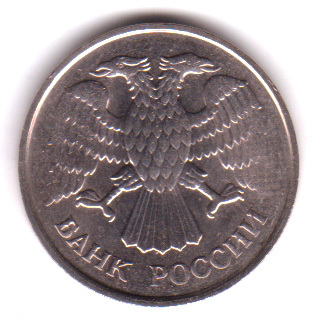 Reverse: 50 Rubles in russian and date in number. 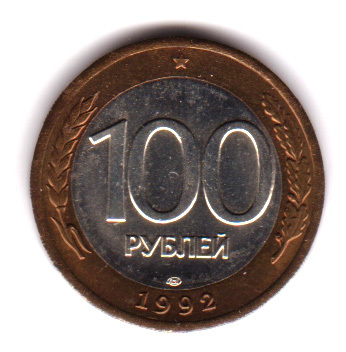 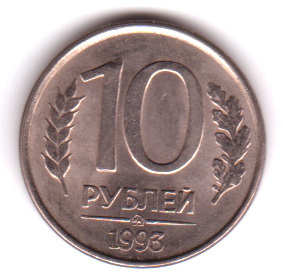 Reverse: 100 Rubles in russian and date in number.